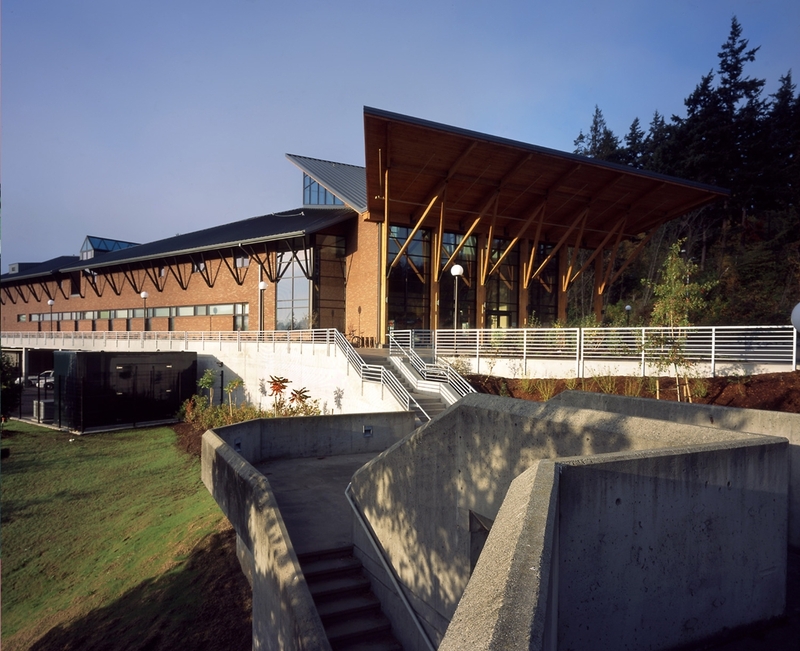 KPS was the design architect working with Zervas Group Architects of Bellingham for this iconic new gateway structure consolidating multiple campus service functions. 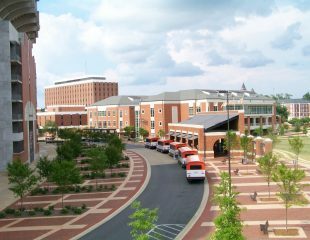 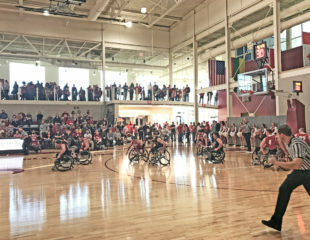 The 28,000sf building’s long and narrow site at the campus entry dictated a long and narrow multi-story structure. 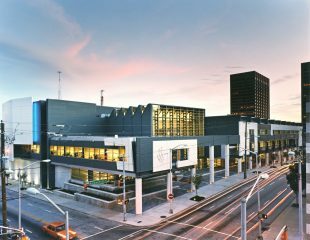 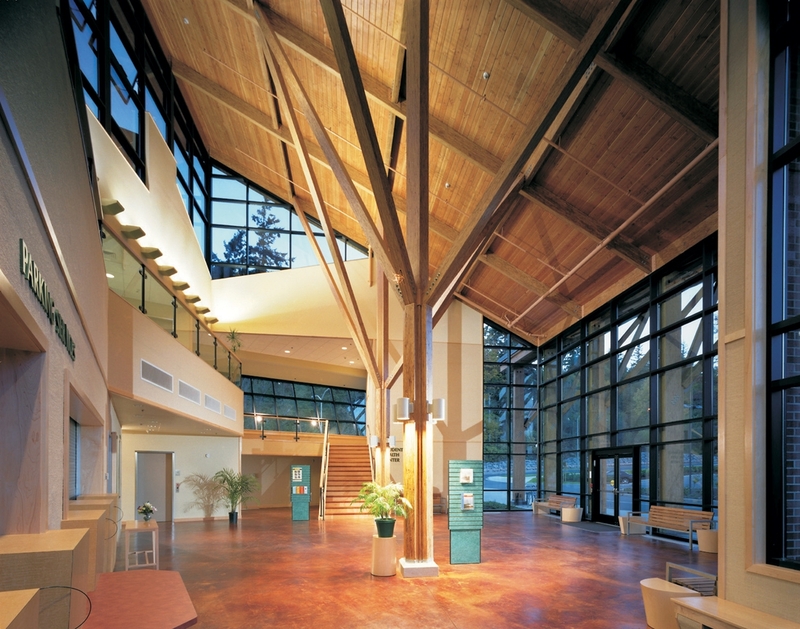 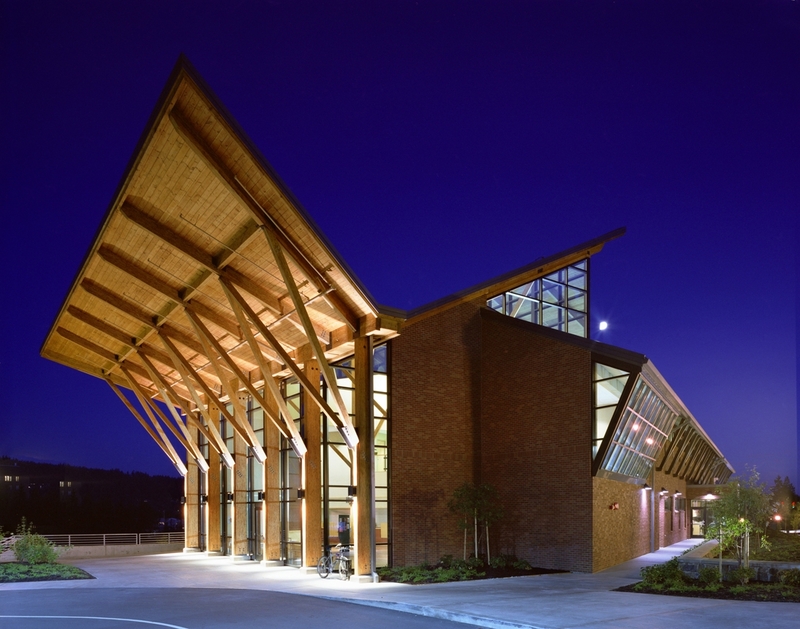 A dramatic 2-story lobby atrium with sloped roof and timber framing welcomes visitors to the ground floor University Police and Parking & Transportation offices. 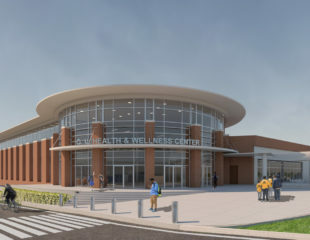 Positioning exam rooms around the perimeter of the second floor Student Health Center led to the building’s distinctive “bow-tie” shape, formed by a skylight over the central nurses’ station. 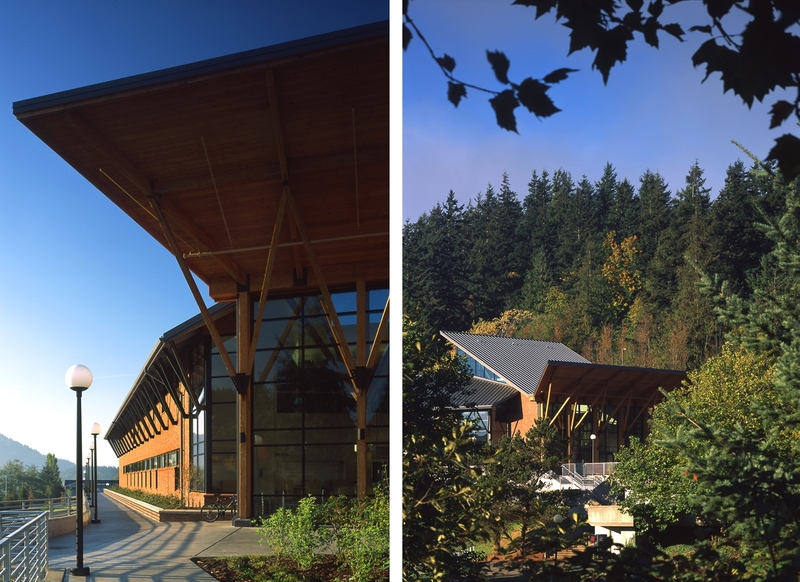 Sustainable features responsive to the University’s green initiatives include generous daylighting, oriented strand timber framing at the lobby, brick and stone masonry, stained concrete floors, recyclable steel framing and roofing, natural ventilation, and outside air for cooling. 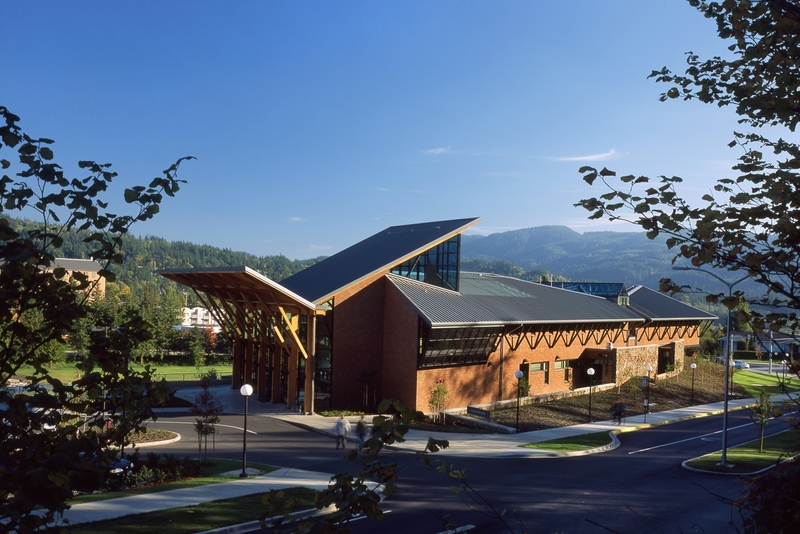 The university president charged the design team with using natural materials to create a distinctive entry point for the campus.